After Christ­mas A.D. 2017, with all its won­der­ful and exhaust­ive meals, we found time to hike along the small river Wald­naab. This time I col­lec­ted a hand­ful of black&white bark images — made with the Ricoh GR II — from trees lined up along the small river — or bet­ter, along it’s flood chan­nel. As we were hik­ing this trail already many many times, tak­ing a cam­era with you and per­ceiv­ing the envir­on­ment con­sciously is somet­ing com­pletely dif­fer­ent. See­ing the dif­fer­ing struc­ture of the barks on each tree — where you nor­mally simply pass by — makes each of these trees … unique. Regard­ing this beau­ti­ful small river, even if the river Wald­naab is a small river by all means, at it’s estu­ary into the river Donau, it’s even wider (not deep­er) than this legendary Ger­man river — as can be con­firmed on Google Maps. 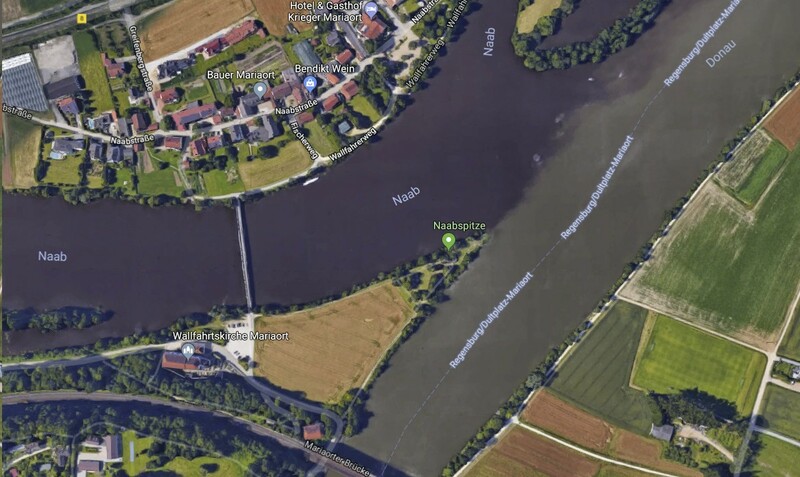 River Naab is the beau­ti­ful dark one com­ing from the left, river Donau is the muddy one com­ing from the bot­tom right of the screen­shot. My trip to that estu­ary can be found here. A true home­land day­break. Yes­ter­day morn­ing around 8 am, when sit­ting down for break­fast and look­ing out of the win­dow, the east­ern sky had turned orange and red in an impress­ive way. The only cam I could get hands on was my iPhone. Pick­ing it up and get­ting ready to shoot gave me a beau­ti­ful image. Short after 8 pm was near the end of the golden hour and true … 5 minutes later the sky had turned nor­mal again.